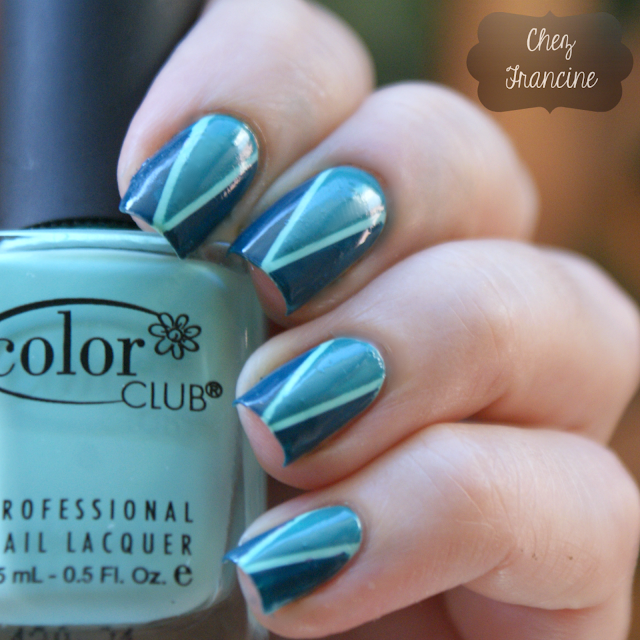 Chez Francine: [31DC15] I'm done with geometry! [31DC15] I'm done with geometry! I like geometrical pattern on furnitures and clothes, but I hate to draw them, because I'm not able to drawing a straight line. True story, mates. 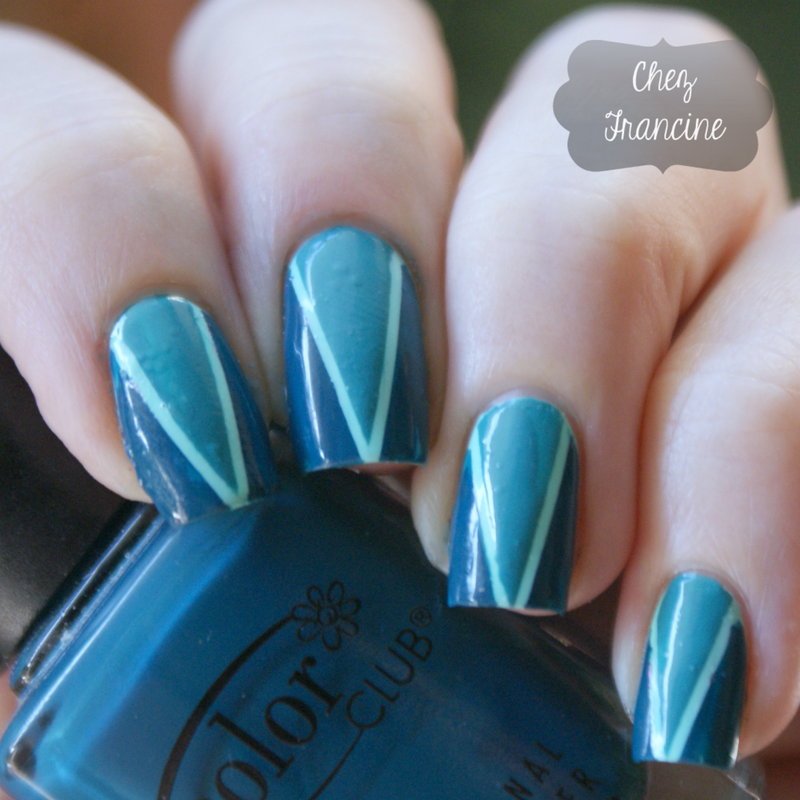 To sugarcoat this claim I've tried to make a triangular shape in teal. I've started with two coats of Color Club Blue-Ming (I tell you what: this is not a real blue, it's an sea foam green!) 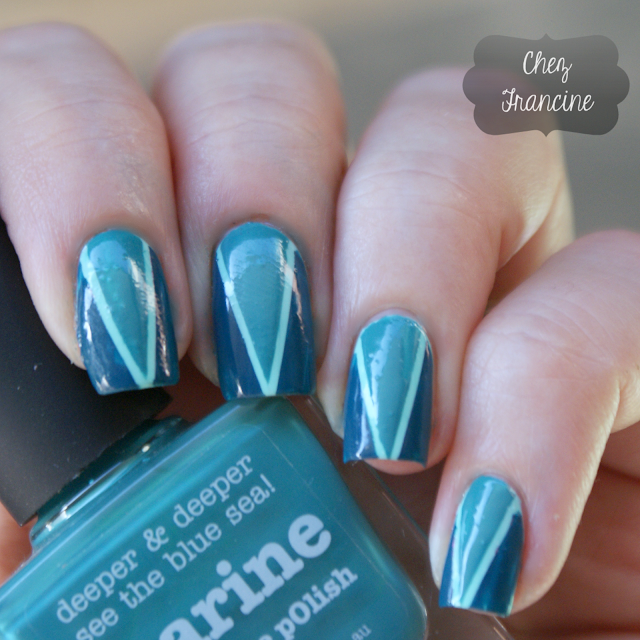 and when it was completely dry, I placed some pieces of striping tape making a V-shape. I layered down the shades (Marine inside, Gossip Column outside) and I carefully removed the tape and I've fixed any smudges. 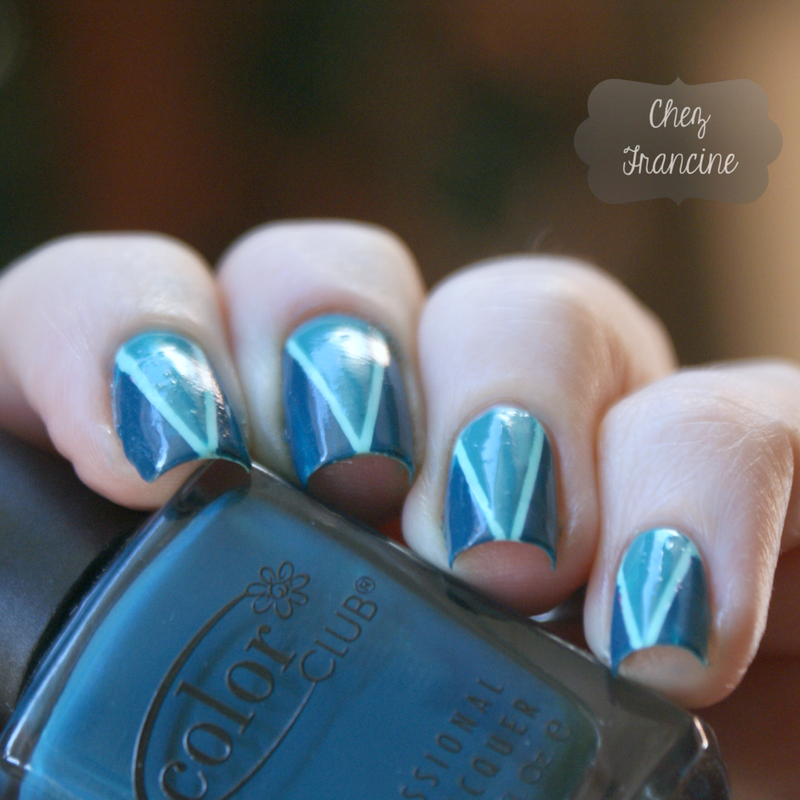 Ho steso due mani di Color Club Blue-Ming (che è blu come io sono una sirena) e a smalto completamente asciutto ho piazzato delle strisce di striping tape a formare una V. Aiutandomi con un dotter, all'interno ho riempito l'interno con Picture Polish Marine, e l'esterno con Color Club Gossip Column), ho rimosso con cautela le strisce ed ho sistemato eventuali sbavature. 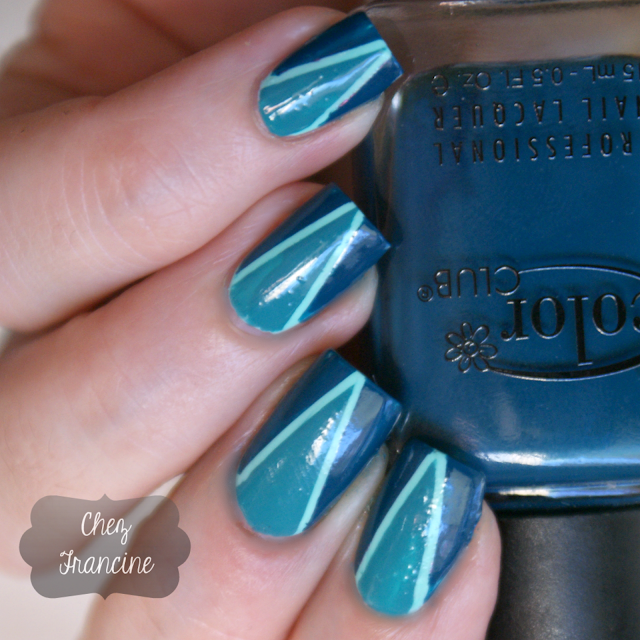 I've liked wore this nail art for days although my ring finger was not perfectly allineated to his companions. Nevermind, no one has noticed, and I'm pretty pleased of it! What do you think about it? Ho portato questa manicure con molta soddisfazione, pure se, come potete ben vedere, l'anulare non è proprio il massimo. Ma ci credete che l'ho notato solo io? Che soddisfazione! !